Step 1: Make sure that your host machine has Windows Aero enabled. Right click on desktop, click on Personalize, and choose one of the “Aero Themes” to enable Windows Aero with glass. 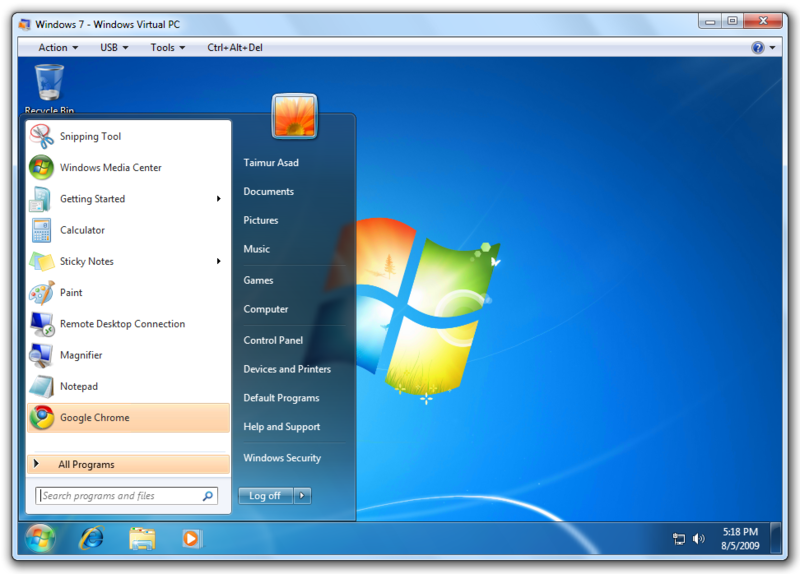 Step 2: Make sure that your guest VM has the latest version of “Virtual PC Integration Components” installed. 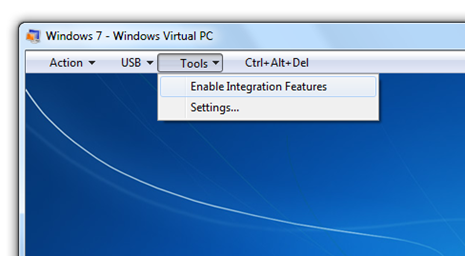 On Windows Virtual PC, click on Tools->Install Integration Components. Step 4: Your guest VM will now be logged off. Log-in again and voila! 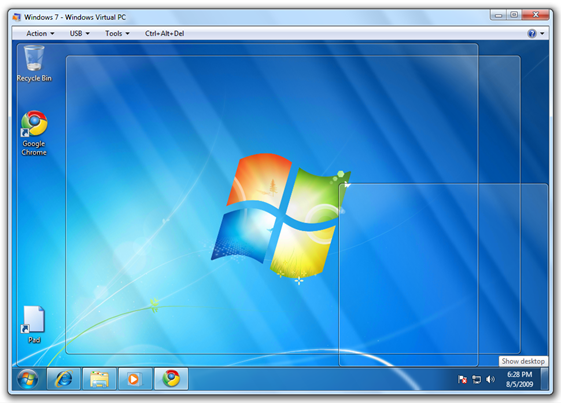 You will now have fully-featured Aero glass enabled guest VM running Windows 7! NOTE: If you didn’t immediately get to see Aero enabled then right click on desktop, click on Personalize, and choose one of the “Aero Themes” in VM to enable Windows Aero with glass. I have tested this on a host machine running Windows 7 Ultimate (RTM x64) with a guest VM running Windows 7 Ultimate (RTM x86). Click here to read more on Windows Virtual PC and its “Integration Features” for Windows 7. Interesting. So does this mean that WVPC now has accelerated graphics support? ‘coz that would be awesome. I’m not sure about that. I think this is more because of the way WVPC uses its integration features with powerful remote desktop capabilities (http://bit.ly/3EA7U) in Win7 to deliver these effects. Ah OK. I missed that article somehow. It would be useful if these featurs found there way into Hyper-V Integration Services. This would really add power to VDI solutions. @jonrulezz: Nope. This will not work on Virtual PC 2007. This is false guys. Virtual PC doesn’t support Aero. However Remote Desktop does, which is what it uses when you enabled integration features. Note: The client and host have to be the same OS and the same OS build for Remote Desktop to use Aero. It’s been like this since Vista. Nothing new here and all this really is is false claims. @Panda: What you are saying is NOT true when you try doing this on Virtual PC 2007 with the same guest and host OS (Vista) as you dont get aero in it. There has to be something new in the new Integration Components of Windows Virtual PC (apart from RDC in Win7) which enables this effect. 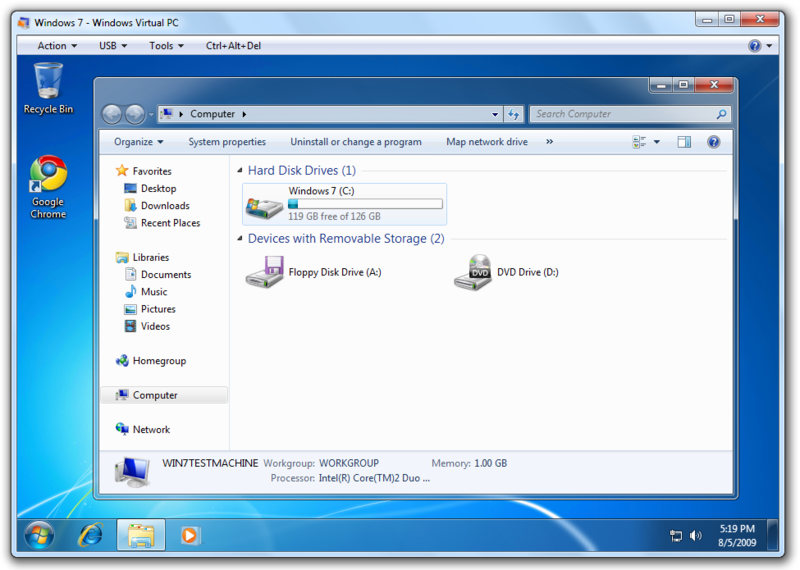 VirtualPC 2007 doesn’t use RDP to display when you enable integration features whereas WVPC does. 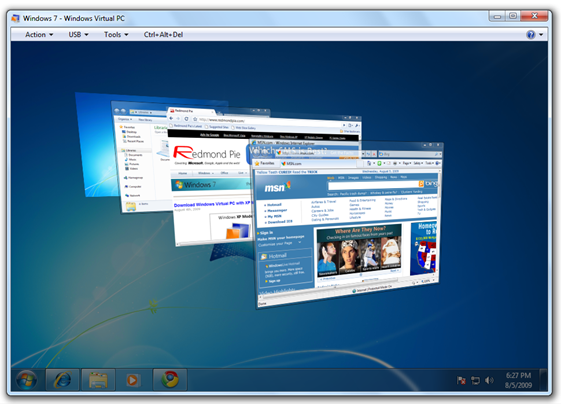 Remote Desktop has always been able to show Aero if the Client/Host are the same since Vista. There for you can only use Aero if the client OS is exactly the same as the host. I assume in your shots you’re using 7600, so if your client isn’t build 7600 it won’t work. Go ahead and try it with Vista/7 combo or 7/older build of 7 combo. It won’t work. You know what, scratch all my comments. All my VMs have a 3MHz CPU power with and w/o integration features so my points may be invalid. Is the feature “Aero Glass” avaiable in Windows 7 Pro RTM? 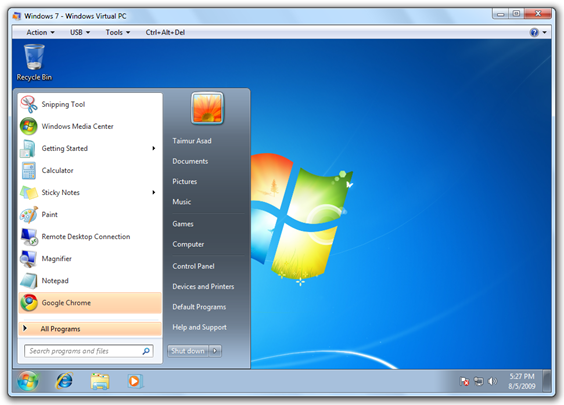 yes you can as XPM and Windows Virtual PC can both be installed Windows 7 Professional. If someone can give some details would be nice! what exactly is the problem you getting? Explain the problem and we may just help you out! I use Windows 7 Professional x64 RTM as host and Windows 7 Professional x86 RTM as guest, the Integration Features are enabled but I don't get Aero to work, any ideas? I might have found the reason why on my virtual Windows 7 Pro I can't get Aero to show up. In the VM settings the Auto Publish field says “Not Available”. Does anyone know how to make it available? I've finally figured it out: the Auto Publish is supported only if the Windows 7 guest is Ultimate or Enterprise, same thing for Aero, that's why it wasn't working on my Professional guest vm. can't get it to work for Home Premium gives “Could not enable integration features. Ensure remote access & GP settings in VM OS allow remote connections.” Don't think Home Pre. allows that. what version of virtual pc??? This is not Virtual PC. 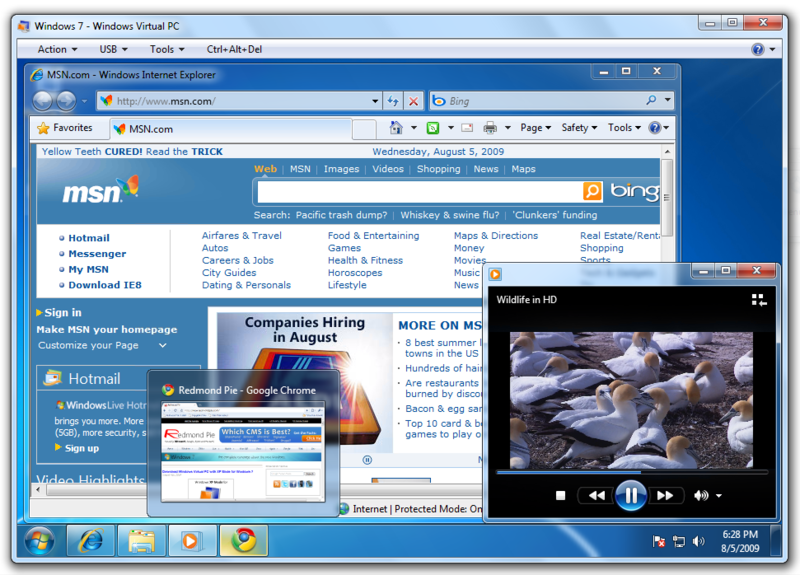 It is the new Windows Virtual PC which works with Windows 7 hosts only. can we get themes to work on windows starter? Is there a way i could download Aero glass rather than the crappy version ive got? Cant even work out AERO shake or the flip- 3d option.. Is there a way to ge these to work on the starter version or home basic?